At Metro Car Removal, you get all the services that put ease in selling your car with instant cash in your pocket. We are the Auto Buyers & Wreckers in Sydney that love to buy autos of any make and condition. Get a fast and convenient car sale. Give us a call. We’ll make you an offer up to $7000 CASH. Any condition- wrecked, damaged, accident, scrap or old. You get cash! Car disposals should be eco-friendly. At Metro Car Removal, you have the assurance that your vehicle’s disposal will be eco-friendly. Our policy is to follow the principles of green auto recycling, so you get the best cash and the greenest Car Disposal in Sydney. Our auto wreckers are experts at what they do- wrecking vehicles. And, so good at it they pay anywhere from a couple of hundred dollars to thousands of dollars. We are always fair when we make an estimate on a vehicle, taking all factors into consideration when we make you an offer like the weight and any precious metals that increase the value of your recycle. Give us a call 0422 600 833 and provide us with the details of your auto. Fill out our “Get a Quote” that can be found at the top right of this page. Then our appraisers will get to work to provide you with a cash offer. 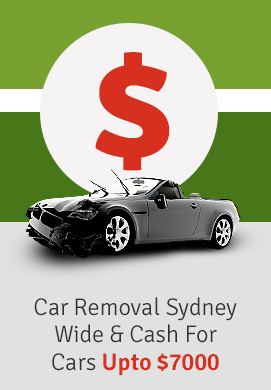 If you like the offer, just say “Sold.” Then we will schedule a car removal anywhere in Sydney. We work collecting cars 24 hours a day, so you let us know when you would like your vehicle removed. Cash for Cars – We pay up to $7000 cash paid on the spot! Free Car Removals Sydney – We come to your location wherever you are at in Sydney and buy and collect your vehicle for free! Eco-friendly Car Disposals – As the green car recyclers, we keep things green! Same Day Car Removals – Metro Car Removal works around the clock providing our customers with convenient car removals at any time of the day. Just let us know when you’d like us to come to your location in Sydney to collect your auto, and we’ll be there! Provide the Paperwork – We bring all the necessary paperwork with us at the time we remove your vehicle. Cars, Trucks, 4x4s, Utes, Jeeps, Vans, Commercial Vehicles, SUVs, Buses, and Bikes. You give us a call, and a cash offer is on its way. Like the offer, and schedule a Free Car Removal that can be completed today.